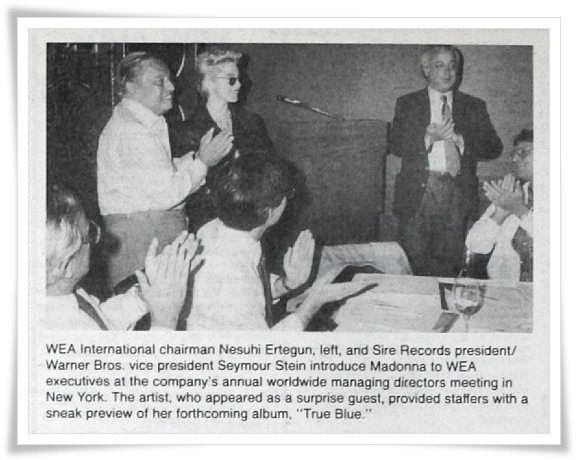 On June 28 1986, Billboard magazine reported that Madonna made a surprise appearance at WEA International’s annual manager’s meeting with Seymour Stein in New York earlier that month where she previewed tracks from her forthcoming album, True Blue. 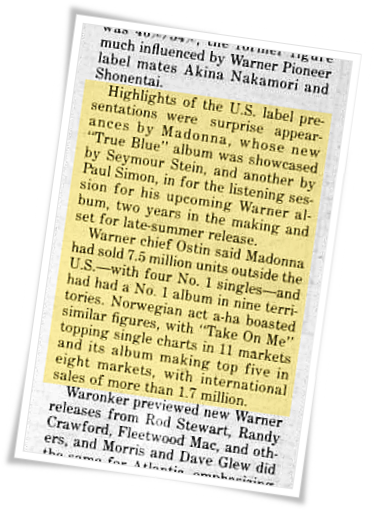 True Blue-I love this song-as did Dave Marsh and John Uptike! Sonicboy Justin, they are noted writers who loved the song!